Making small items means I use up stash plus I don't get fed up when making larger projects as I can alternate. 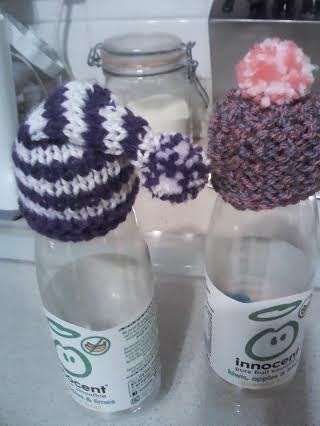 So here are some more Innocent Smoothie hats. I called this Little Lady she was fun to make. 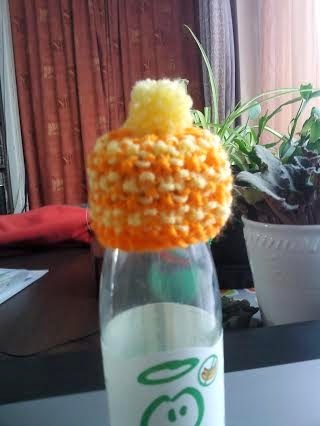 This one is Oranges and Lemons a simple Moss stitch created this one. 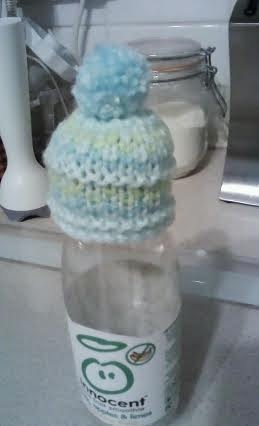 This one is a simple hat with stripes it is a pale blue with yellow. 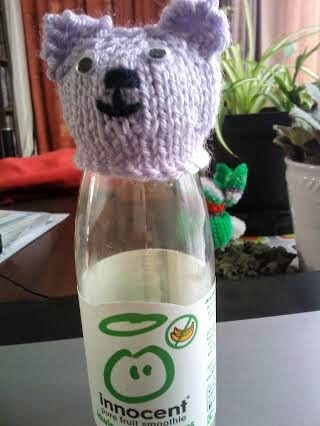 So more tiny hats to store away ready for the Big Knit in October. 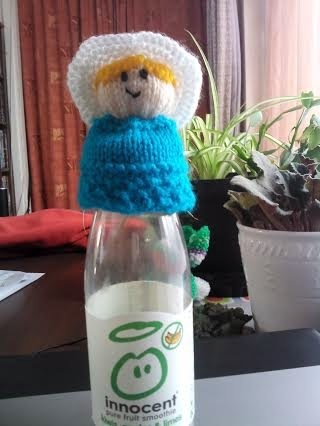 This is fun and they knit up quick. I love the night cap. I might do some of those to add to my Innocent donations.